For your amusement, there is a telephoto lens available for the Apple iPad and iPad Mini. 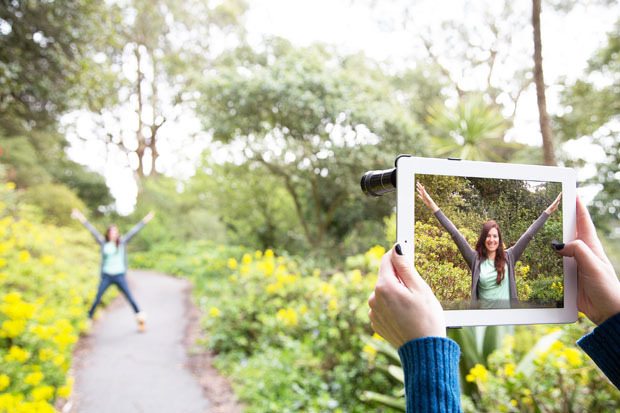 The lens offers a 10X optical zoom when attached to an iPad 3 or iPad 4, and a 12X zoom when mounted on an iPad Mini. It has a manual focus ring for adjusting the focus, but it helps when using it on a bigger tablet screen. The cost is $25 or less, depending on where you buy the product. The image quality is mediocre at best but the lens is designed more for casual and fun snapshots rather than professional-quality photos. There is noticeable vignetting at the edges. The mounting mechanism between the lens and your iPad consists of a hard plastic connector that snaps onto the tablet. 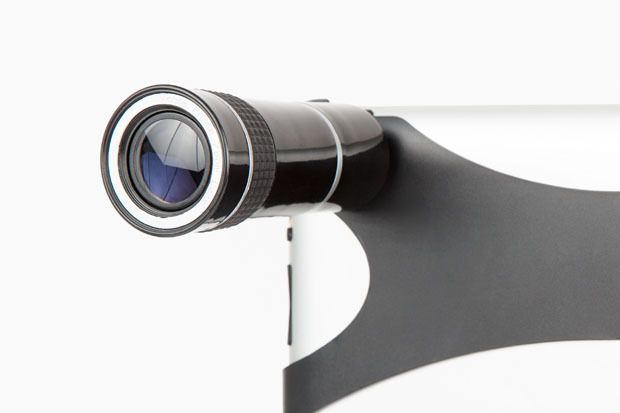 The lens can be unscrewed from the mount for storage when not in use. Canon Announcing EOS-70D on April 23?